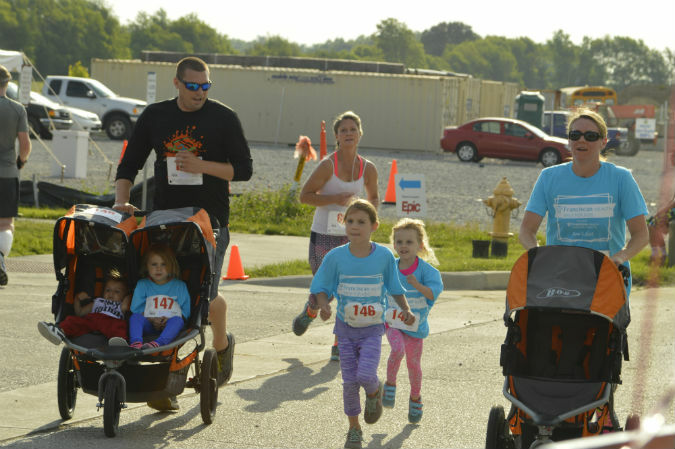 The Race for Kids is aimed to raise awareness and funds for our Level III Neonatal Intensive Care Unit (NICU) and our Pediatric Physical, Occupational, and Speech departments. All proceeds will help purchase equipment and supplies needed to provide a continuum of care from our tiniest of patients in the NICU to our children with developmental delays receiving outpatient therapy services. Our goal is to enhance a child’s ability to learn, improve their physical function as well as support their need for independence. The deadline for online registration is Thursday, May 30; however, individuals can still register the morning of the race. To be guaranteed a t-shirt, participants must be registered by Friday, May 17, 2019. Want to pick your race day packet up before the race? We would like to invite you to become a sponsor for our 4th Annual Race for Kids 5K Run/Walk. By sponsoring, you are not only ensuring the success of this event, you are helping to enhance the quality of life for children right here in our backyards. For more information on sponsorship levels, please download our 2019 Race for Kids Sponsorship Narrative. If you prefer to pay offline with cash, check, or credit card, download a registration form and mail, fax, or scan/email the completed form with payment to the Foundation no later than Thursday, May 30, 2019. See registration form for more details. If you have any questions regarding the event, please contact Jen Eberly at Jennifer.Eberly@franciscanalliance.org or 765.423.6810.